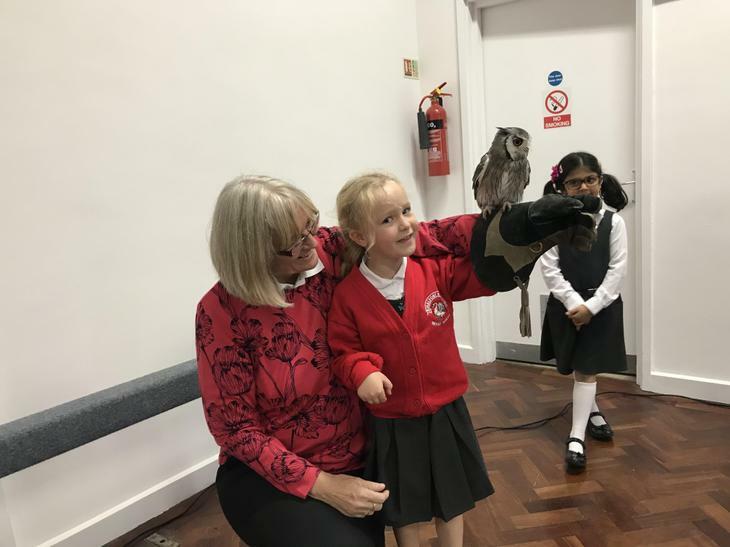 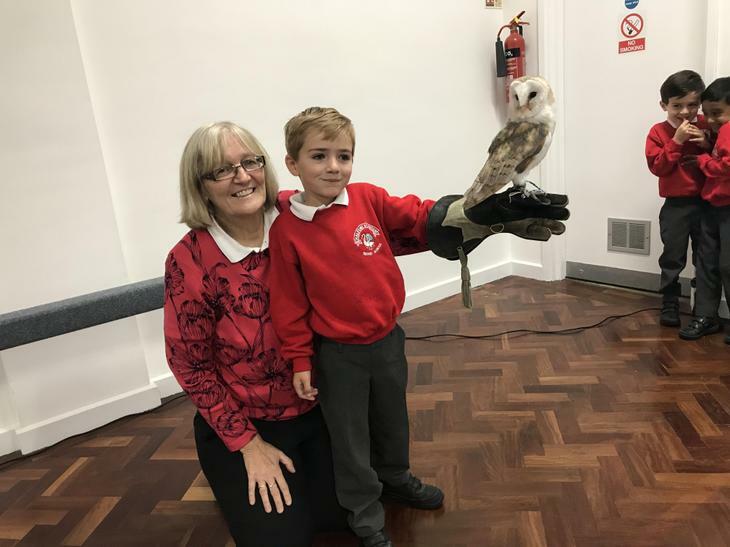 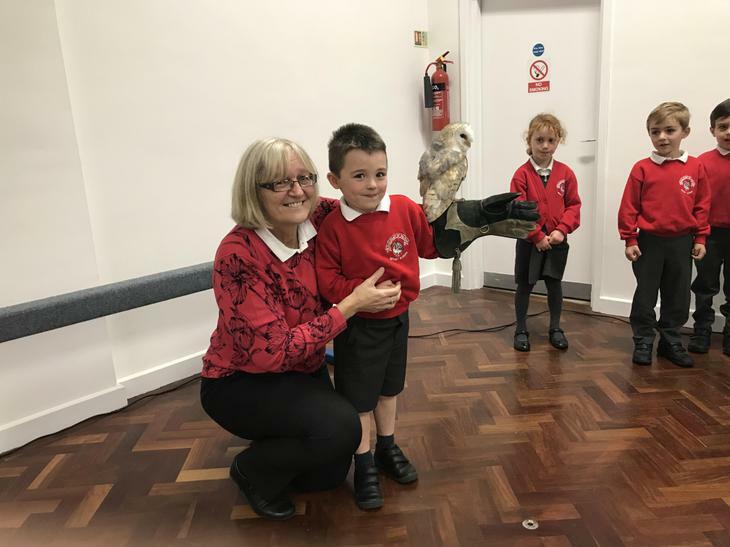 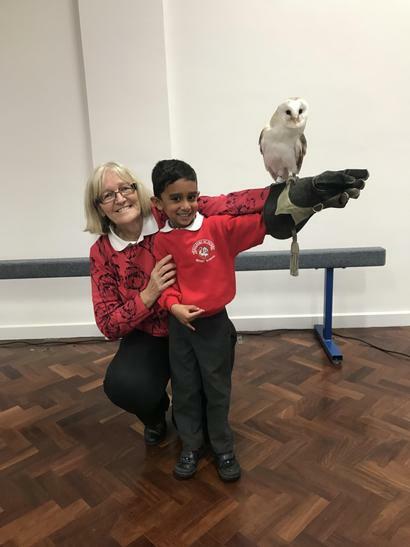 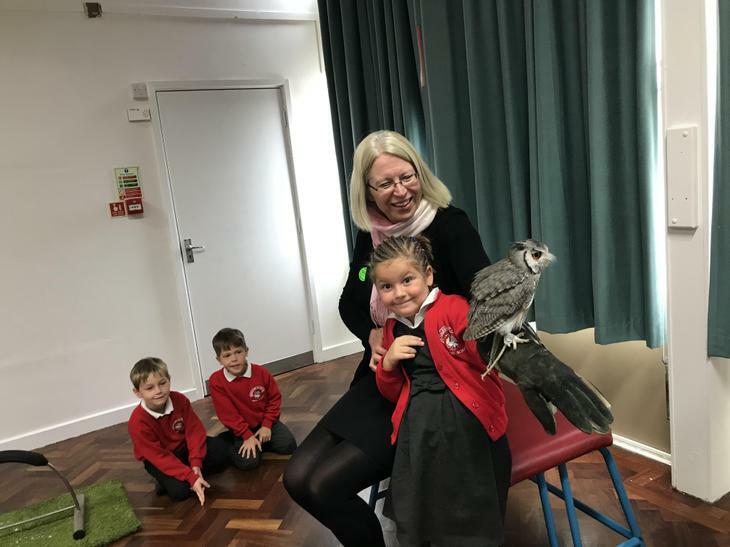 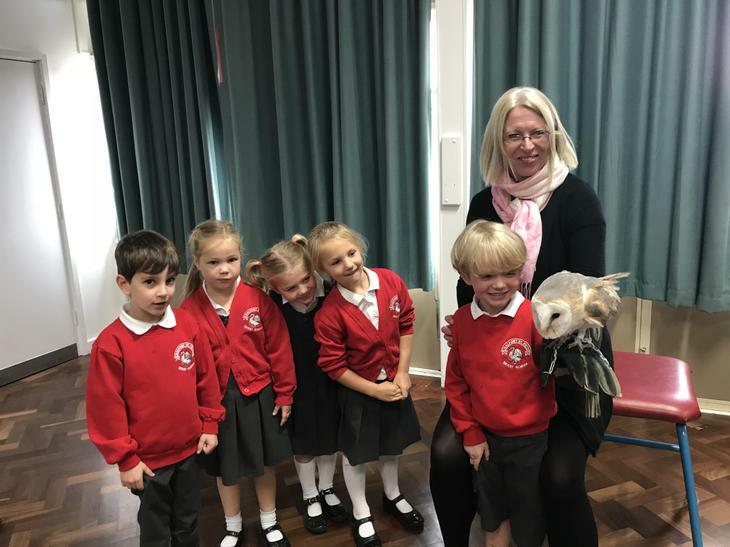 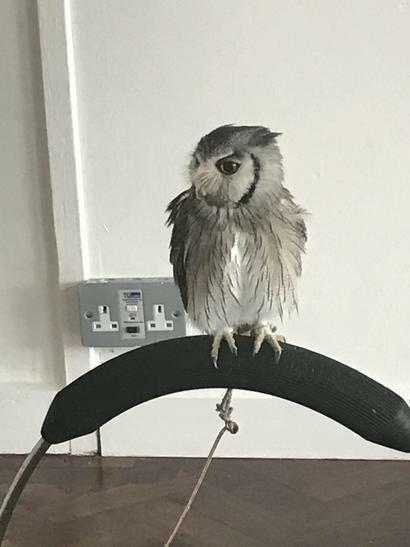 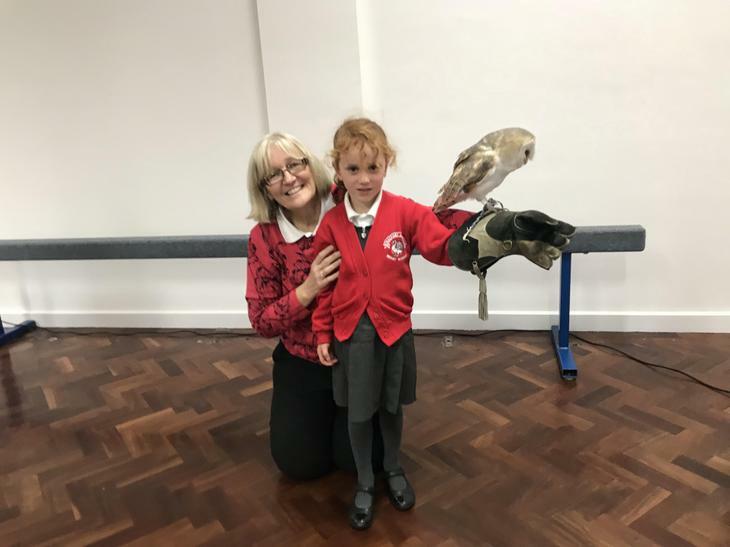 On Thursday 5th October, we welcomed a visit from live owls! 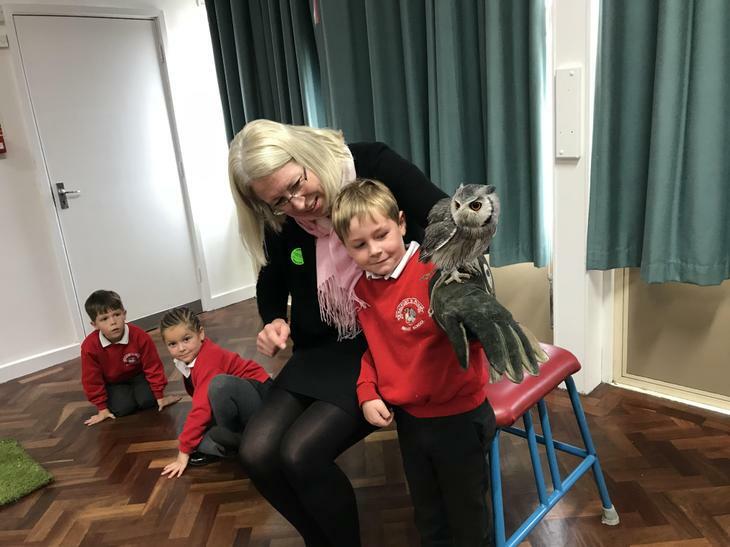 They were all very feathery and awake ready to fly over our heads! 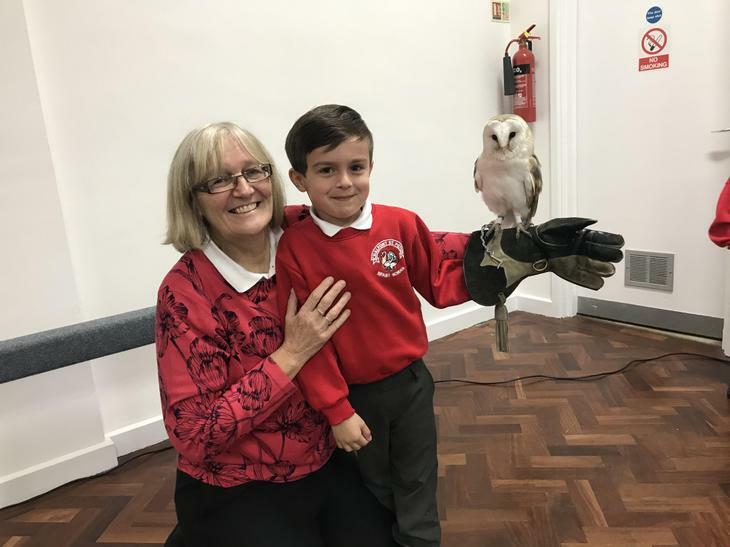 One was a barn owl named Archie. 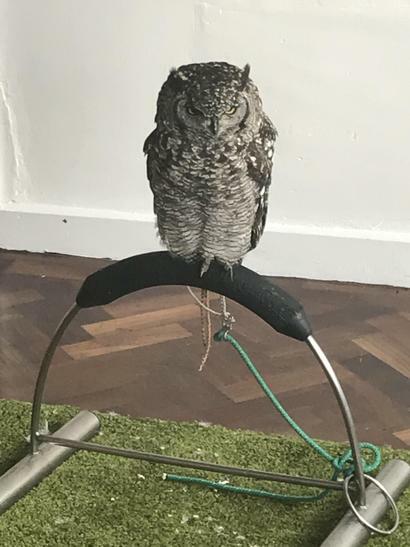 One was a dwarf owl named Gizmo and one was an enormous eagle owl It was so big! 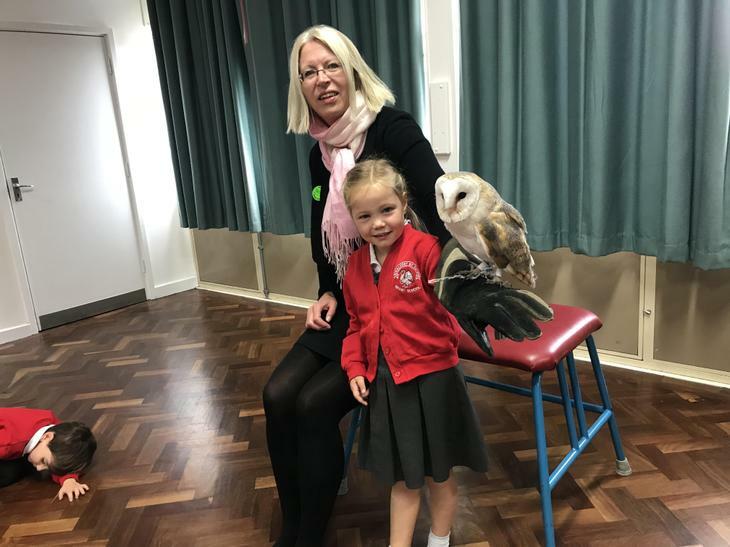 We all had a turn to 'hold' an owl if we wanted to. 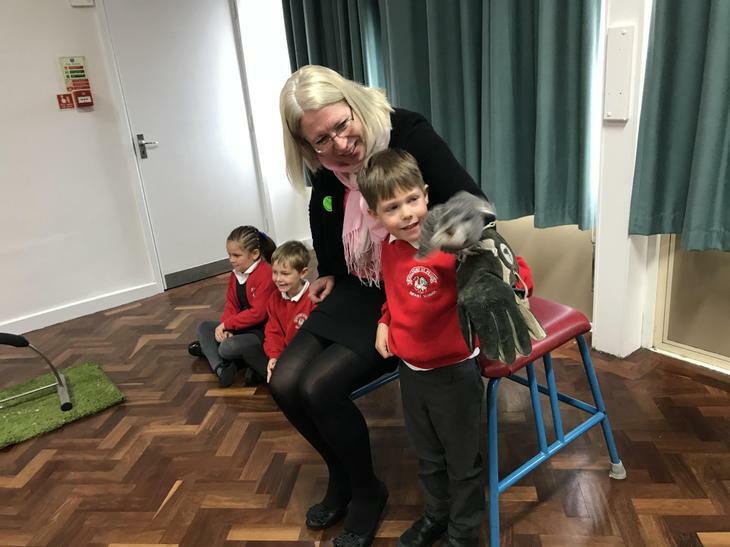 Mrs West helped us to hold the glove. 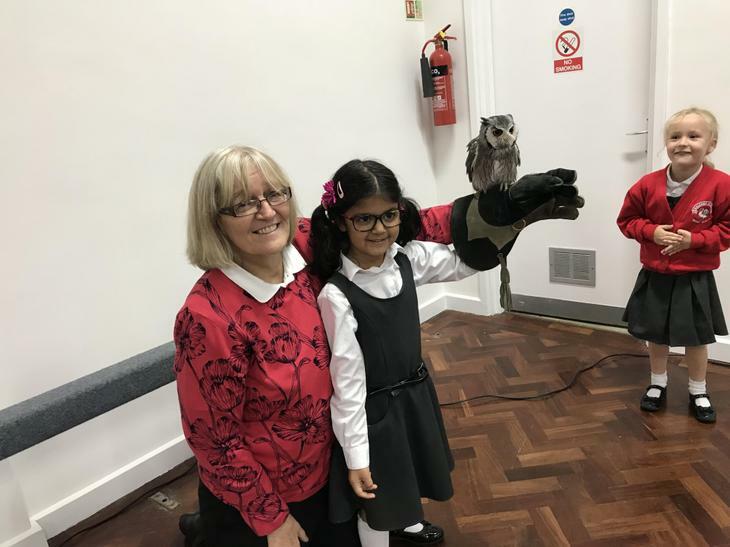 As they flew over our heads we all ducked! 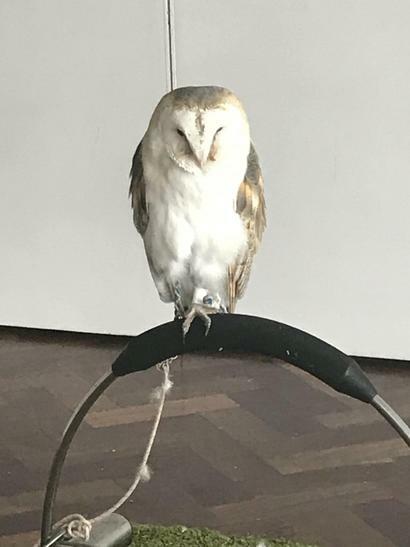 They swooped silently to their keeper to get some food. 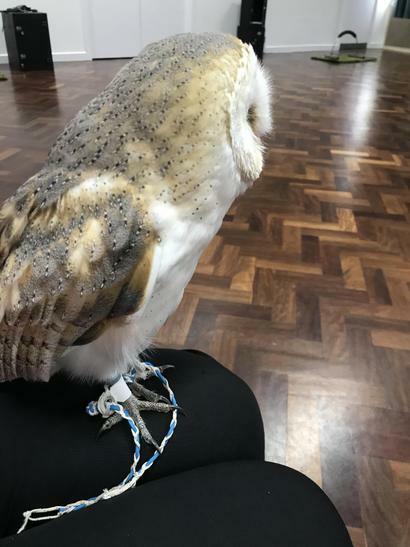 In the afternoon, we were able to put our Art skills to the test as we spent some time drawing through observation. 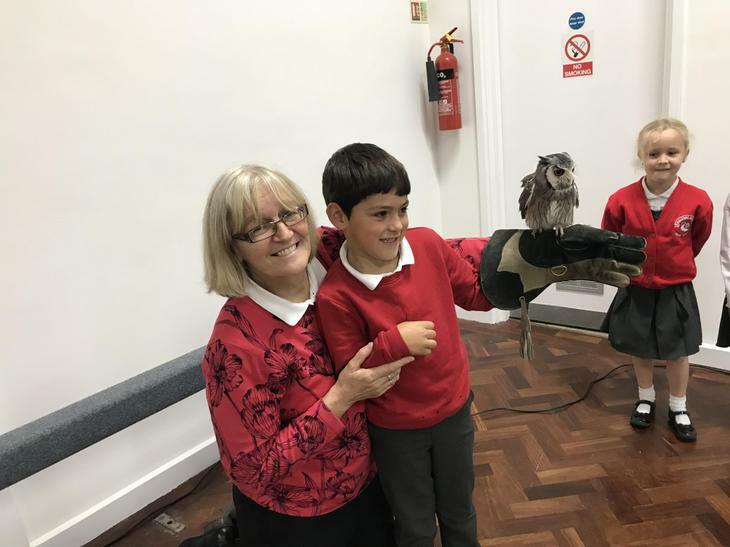 Thank you to the PTA for funding this wonderful activity. 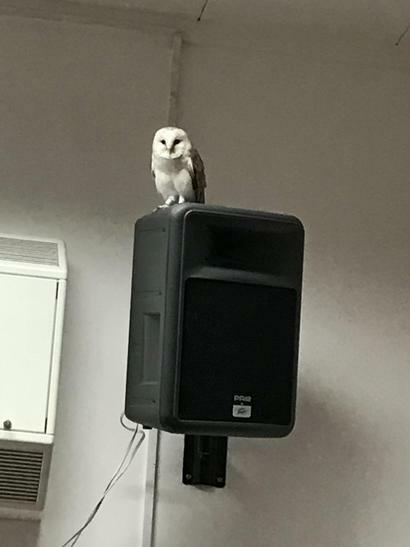 After reading Owl Babies by Martin Waddell, it was so amazing to see real live owls in our school!